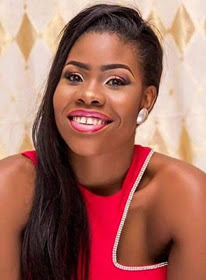 The younger sister of Bayelsa State governor, Henry Seriake Dickson has been rescued after spending over two months in the hands of kidnappers. A statement issued on Monday by the Chief Press Secretary to the governor, Daniel Iworiso-Markson, said 26 year old Nancy Dickson, was rescued on Sunday evening from her abductors without any payment of ransom. "some of the kidnappers took to their heels while others were apprehended following a tip off on their hideouts." While calling on the people of the state not to succumb to the demands of ransom made by kidnappers, Governor Dickson assured that plans were underway to amend the Bayelsa State Secret Cult, Kidnapping and other Related Offences Prohibition Bill 2012 to proscribe payment of ransom in the state. He stressed that the Bill when passed into law, would go a long way in putting a stop to the incidence of kidnapping in the state. Dickson urged Bayelsans to take a cue from his personal experience with kidnappers when his aged mother was abducted in 2009 and efforts were made to secure her release without payment of ransom. As part of efforts to stem criminal activities in the state, Governor Dickson said "a comprehensive security strategy would be launched soon to boost government,s policy of zero tolerance on crime and criminality." He therefore advised anyone or group of persons who indulge in the unwholesome practice to turn a new leaf as the full weight of the law would be brought to bear on any culprit.